As you know by now, Catalyst Adlab is averse to manipulative “hare-like” advertising (see our Blog). We strongly believe that professionals deserve something more personal and personable than attempts to sell them “hare-one-day-gone-the-next” advertising. In fact, in the course of studying marketing, we were introduced to BlitzMetrics and immediately made the switch to what BlitzMetrics calls 3x3 marketing: 3 stages, Awareness, Consideration, Conversion and 3 WHY, HOW, and WHAT videos for each stage. Dennis Yu, BlitzMetrics CTO and former head of analytics at Yahoo, has made it his mission to teach digital marketing to young people to provide viable job-training while running a successful ad agency at the same time. No small accomplishment! Among BlitzMetrics’ enterprise clients are the Golden State Warriors, Ashley Furniture, Nike, and Rosetta Stone and MGM (Las Vegas). Dennis teaches all over the world, remotely and in person. He is recognized among the world’s top Facebook advertising experts. BlitzMetrics sponsors Facebook learning groups where marketers hone skills and receive mentoring. Take any BlitzMetrics course, as little as $25, and you’re entitled to join the BlitzMetrics Academy Facebook Group, where you can receive free help with any of their courses and concepts and interact with fellow students. Gerry Sanders is a member of BlitzNation, a higher level (paid) Facebook group devoted to mentoring and coaching by Dennis Yu and BlitzMetrics staff. We receive no compensation for guiding you there and we are fully responsible for our own implementation, without any actual or implied endorsement by Dennis Yu or BlitzMetrics. If you’d like to DIY your Facebook advertising, you can do no better than the BlitzMetrics way. 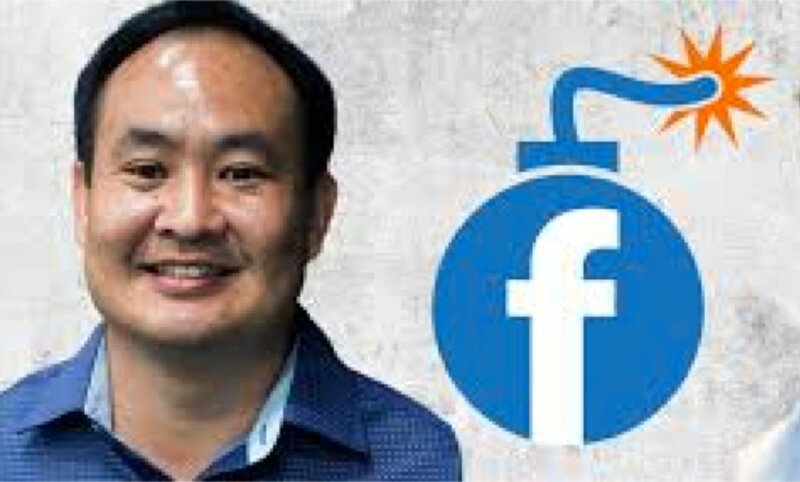 Let's Talk Growth - Dennis Yu on Facebook As Your PR Machine by Spending Only $1/day is a One hour + recording of a talk Dennis Yu gave in 2017 at StartCon. Meet the man and the BlitzMetrics method here. Below is a video interview of Dennis and Logan on Mike Arce’s G.O.A.T (Greatest of All Time) Show. The primary audience for this is other marketers. However, anyone considering 3x3 Facebook marketing for a professional practice or business will learn more about the the Advertising As Courtship (3x3) approach from these pros. BlitzMetrics is hugely generous with their ideas and materials. In fact, if you want to DIY your own Advertising As Courtship ads, read on. You’ll find all the materials you need, or access to them, inside the links below. A few are articles, others refer to courses (*) at BlitzMetrics Academy. Most are brief and many as inexpensive as $25. 3x3 marketing, an article by Dennis Yu explains $1/day 3x3 method, i.e., starting with 3 WHY, 3 HOW, and 3 WHAT videos. Audree Moua summarizes the Power of One-minute Videos and how to structure them. Facebook for a Dollar a Day* - cost, $25: BlitzMetrics calls their advertising method $1/day because when you first boost video posts or share your videos via ads, the general procedure is to spend only $1/day for each ad to experiment, and see what works and what doesn’t. Goals - Standards of Excellence* - cost, $25: This brief course summarizes the proper metrics used to evaluate the success of a 3x3 video campaign, foundational for anyone wishing to DIY their own $1/day 3x3 advertising. The Goals course carefully explains which videos to continue using and which to replace. Kenny Hoang, Manager of Optimization at BlitzMetrics, has published a description of the Know, Like, Trust Framework that shares an entertaining “mixtape” story with wonderful nuts and bolts screenshots. If you’re comfortable with some “techy” stuff, you’ll be on your way to running your own DIY Self-Referral™ Ad Systems. We also recommend using Google Tag Manager to properly track viewers’ behavior so you’ll know what’s working. BlitzMetrics has a course on that, too. Truth be told, and by now I hope you’d agree I'm no “hypester,” using the $1/day 3x3 method requires a lot of technical and marketing know-how. Promoting your brand on Facebook or YouTube takes time and expertise. It’s definitely not a matter of simply throwing ads against a digital wall to see what sticks, although a lot of the work is experimental, trial and error. If you’re reading this page, you’re probably a professional practitioner of some sort and wouldn’t dream of marketing your own services. Smart! But in case you want to DIY, or to understand our DFY (Done-For-You) service, we think you’ll find this material a good place to start.